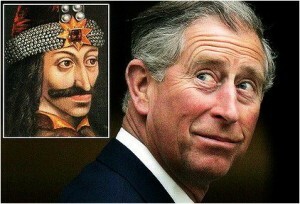 Prince Charles – King of Transylvania? The origin of Transylvania’s name comes from the Middle Ages spoken Latin when the phrase “Trans Silva” meant “land beyond the forest”. 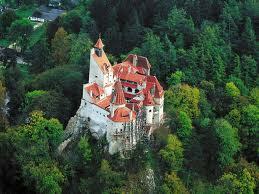 Transylvania is located in the central-north-west of Romania and is surrounded by the Carpathians. The mountain peaks are mainly covered in dramatic forests although some are bare rock covered with snow. Transylvania spreads over an area of 100,293 km ² representing about 45% of the country’s entire surface while the number of people living in this area represents a third of Romania’s inhabitants. Transylvania is an extremely beautiful place, full with history and with great cultural and economical significance for Romania. This region is mainly predominant by mountains and hills forming the picturesque rustic image of Transylvania loved by so many. People describe this land as being “a place of myth and legend, a breathtaking region with ancient Carpathian medieval villages”. Many rivers cross this land for long distances through the narrow valleys of the mountains, deep in the wild forests, along villages creating charming sceneries that relaxes the mind and pleasures the sight. There are also various spectacular waterfalls and lakes that not only add to the lovely view, but are a real strong potential point of investment for hydropower production. 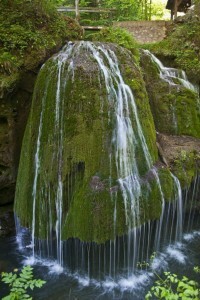 The concept of “green” energy is embraced by many investors who consider Romania’s potential is extraordinary in producing energy from renewable sources by installing small hydro, while protecting the ecosystem. If you are a keen photographer, you won’t find it easy to put your camera down in Transylvania, as at every step is uniqueness to be found: cute little houses scattered across the valleys with fabulous landscapes fringed by the peaks of the mountains in the distance. Transylvania has 4 distinct seasons with a temperate continental climate though being a mountain area the weather is often unpredictable. So in the summer you may start your day with sunshine thinking there is no way it will pour with rain. Think again. Often you may get caught in an unexpected shower storm – although it usually doesn’t last more than a few minutes. I think it is better to be prepared with some warm clothes and an umbrella when traveling in a mountain region even in summer. In the summer in Transylvania, temperatures can easily reach 35° C, while in winter can drop to -25 ° C.
Most visitors land in Bucharest. From there you have the choice of hiring a car or taking a train to one of the towns or cities. The best way to see Transylvania is on foot, but in order to travel around visiting the best places you really need to hire a car. Most people instantly think of Dracula when they hear the name Transylvania. However the tourism potential of this area stretches more than that, including the existence of many mountain resorts and extremely gorgeous landscapes. Transylvania has some of the most beautiful fortified churches, castles and citadels along with idyllic villages that spread across the hills between the mountains. There are many ideal places for people looking to relax by spending unforgettable nice holidays by the countryside breathing in the fresh air of the mountains. Another special thing about Transylvania, is how well kept are the traditions and the authenticity. People there, know how to preserve them and if you find yourself visiting during Christmas or New Year, you will for sure be fascinated by the special unique customs, the traditional costumes sacredly warn by locals all ages. In fact, there are holiday celebrations several times a year, so no matter when you choose to visit Transylvania it should be easy to catch up with some of their festivities. All around this region of Romania are small workshops where craftsmen work a variety of traditional objects by hand using wood, glass or ceramic. Transylvanian people are known for being faini (meaning kind and nice) reliable and determined. They are chatty and warm people that usually don’t think a lot before inviting you in their home sitting you at their table and giving you a warm welcome. There are a number of towns and villages throughout the area that welcome tourists. They range from the authentic ‘old world’ experience through to the modern and everything in-between. Transylvania is a mountain paradise loved by many, including Britain’s Prince Charles that repeatedly declared his fascination with this area. Therefore he now owns several properties in Transylvania (9 so far) and has a few small businesses with Romanian traditional products. In a small transylvanian village called Saschiz, is prepared according to the season, different sorts of jams, juices and many types of honey which are then sent to UK. Usually in the summer, the most popular is elderberry juice that seems to be among the preferences of British people. In Scotland there is even a chain of international delicacies stores that massively imports this elderberry juice. Another 100% Romanian product is the apple juice obtained from the Prince Charles’s orchard located in Malincrav. The apples in the orchard are not chemically treated making this juice entirely “bio”, have neither added sugar nor preservatives, the only process used for this, being pasteurization. Malincrav is a small town in the north of Sibiu County that Prince Charles personally “discovered” during one of his visits in 2002. The locals – if they would to be asked – are excited anytime to tell the story in which they first saw Prince Charles coming down the hill near their village and walking on their streets. They are still delighted when they think about the event and Andreas Gartner (Malincrav apple orchard manager) said: “He was extremely kind. He spoke with everyone and he seemed to be a man who truly cares about these places”. Prince Charles had personally seen the method, by which this juice is obtained and it appears that this is one of his favorite drinks. The price for 1 liter bottle of apple juice is 5 lei (meaning £1/bottle). Also in Malincrav there are 50 bee hives and the honey obtained from these, is being sent to Prince Charles in UK. The places in which Prince Charles chose to purchase his estates seem sometimes far from civilization, where roads often become increasingly forested along tall trees and shaded streams. The properties now owned by Prince Charles have been renovated and some of them can be even rented out. For example, a room in his house from Viscri near Sibiu, is said to be £ 43 per night. Though the price for these units starts at £ 29 per person per night, including breakfast while for a one week all-inclusive stay, the price is about £ 570 per person. Prince Charles’s great interest for Romania was shown many times through his involvement in preserving the traditional landscape in the rural areas and the cultural heritage of Transylvania. Great Britain’s Prince visits Transylvania very often and enjoys exploring the beautiful scenery by walking many miles on foot. His passion for Romanian lands made Prince Charles extremely loved by Romanians, many people even hoping for the rumor to be true. A rumor spread by the Romanian press in which it was said that he could become king of Romania. This story got spread really fast in Bucharest until recently, probably the result of some words with double meaning which might have been triggered the press, always thirsty for dramatic headlines, fueled by numerous forums open to political discussions. Though I am sure there are many Romanians who would be happy if – like in a modern fairytale – Prince Charles would come to save the entire country from the hands of some disliked politicians, especially in these times of recession. Prince Charles’s statements for the Romanians are often flattering, as his majesty’s words never cease to praise the beauty and uniqueness of the Transylvanian land: “Transylvania is Europe’s only treasure” or: “There is no better export product for Romania than Transylvania. Neither the UK has such a treasure”. How can Romanians not love him after hearing all these compliments for their country? I am also a fan, especially knowing he is so charmed by Romania’s beauty and has good intentions which help support many aspects in my country. Until recently one of his statements has left many stunned. Prince Charles declared he has common ancestry with Vlad Tepes aka Dracula: “My family tree shows I am the descendant of Vlad Tepes, so I have some links with Romania”. Prince Charles is a good ambassador for promoting Romania’s image, especially through his involvement in the movie called “Wild Carpathia” that Travel Chanel broadcasted in a series of 4 episodes on 30th October, 2011. The documentary has also been translated into 20 languages and can be viewed in 119 countries all across the globe. Charlie Ottley (presenter and co-producer of “Wild Carpathia”) interviewed Prince Charles at his residence in Scotland, where the Prince of Wales said that through his family tree flows some of Vlad Tepes`s blood as well. “Transylvania is probably in my blood” said Prince Charles, who spoke about his admiration for Transylvania seeing this place as being “a special land” adding: “I love Romania’s eternity. It’s something so remarkable. Almost like childhood stories. People here want this feeling of belonging to their lands. We need to rediscover within ourselves this way of existence, to go back to them and I want to make sure that this way of life will not cease to exist”. Transylvania has a very old history; the first human remains discoveries dating back to the Stone Age. 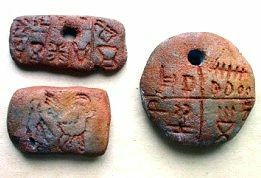 In 1961, in Tartaria village from Transylvania, Nicolae Vlasa (a Romanian archeologist) discovered 3 clay tablets that have been the subject of large controversy among archaeologists and it is believed to be the first form of writing in the world. For many this is hard to believe though it is proved by the existence of these tablets that are emblazoned with a pictographic writing similar to Sumerian. This discovery caused great interest in the archeological world, as the symbols are considered to predate even the Sumerian cuneiform script or Egyptian hieroglyphs that until Tartaria tablets were the world’s earliest known form of writing. So if until 1961 historians considered the Sumerian writing the oldest on earth (those being dated at 3300 BC), the tablets discovered at Tartaria go even further back with a millennium beyond those evoked by SN Kramer in his famous book “History Begins at Sumer”. The age of Tartaria tablets are estimated through the research method with radiocarbon at an age of 7000 years old. These tablets representing an epochal breakthrough in the history of mankind are currently displayed at the National History Museum of Transylvania in Cluj-Napoca. This finding didn’t have the attention that it deserved, but fortunately, there are some researchers trying to get to the truth by continuing to investigate this. 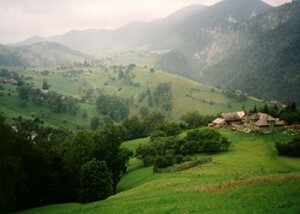 Transylvania is not only the source of Romanians but of the majority of Europeans. A scientific study conducted at the University of Hamburg, Germany, concluded that inhabitants of Serbia, Bulgaria, Macedonia, Turkey, Greek and Italy are genetically related to ancestors who lived in Romania 3500-5500 years ago. Transylvanian food is a subtle combination between traditional Transylvanian, Saxon and Hungarian specifics due to the historical roots of the area. 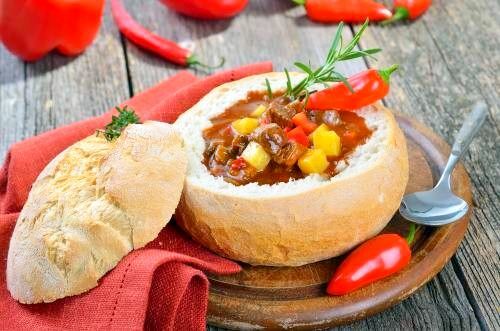 Even in general, throughout Romania, the characteristics of the Romanian cuisine are its great variety. This cuisine is influenced by repeated presence of different cultures: the ancient Greeks, with whom Romanians traded; the Romans, who contributed to the country’s name; the Saxons, who settled in southern Transylvania; the Turks, who for centuries dominated Romania; as well as Magyar and Slavic neighbors. “All of these influences gradually blended into the varied and delicious Romanian culinary tradition” (Nicolae Klepper — Taste of Romania. The authentic Transylvanian taste is obtained using fresh and natural ingredients which people from this land, grow in their own garden. This type of cheese is prepared by the locals mostly in summer and autumn by using milk from their own sheep and cows. All traditions are inherited and preserved, being forwarded from generation to generation. People from Transylvania give great value to their traditional Romanian way of life. So especially because of this region, anyone who is curious can find out interesting customs and traditions that people from around here used to have in the old days. 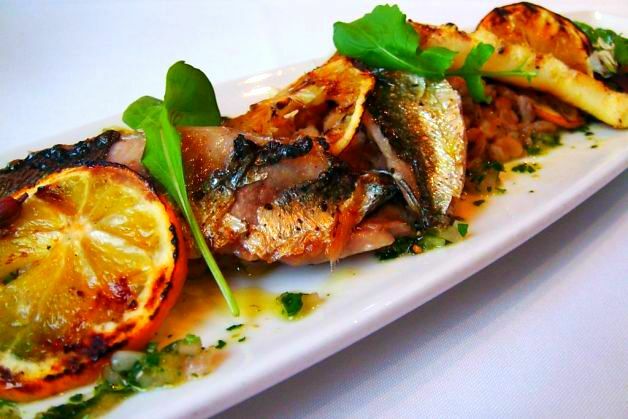 Have you ever tasted “Ciorba cu carnati afumati”? Ciorba it’s like a soup, only it has a bit of sourish taste and has homemade smoked sausages in its composition. It sounds strange but is delicious! Well, if you want to try it and enjoy the authentic Romanian taste, you have to pay a visit to its home land, Transylvania. I must add that “Ciorba” is not recommended for those fighting cholesterol, though they are the ones usually craving for this dish. 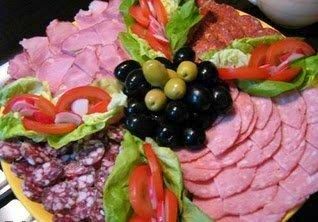 There are so many delicious Transylvanian recipes that it would definitely be difficult to talk about each one of them. I will just say that one of the dishes that I really miss since I am away from home (because I live in the UK now) is “Sarmale”. Sarmale are like little rolls made from cabbage leaves in which is rapped up some seasoned meat. One of the most excitement things on my to do list each time I go to Romania, is to eat “Sarmale”, “Ciorba” (there are many types of ciorba, not only with sausages), “Mici”, “Tochitura” and many other traditional Romanian cuisine dishes. My grandma and my mum make in my opinion the greatest “sarmale” and “ciorba” ever. Though I heard along the years many of my friends say that about their mum and grandmother. Thinking from this perspective, I can actually say it’s a good thing since any good Romanian cook, can provide a pleasant culinary experience for those who are curious to try. A traditional drink enjoyed with appetizers is “Tuica” (plum brandy) which varies in strength, dryness and bouquet according to the production area. “Ciorba de cartofi cu carnati afumati de casa” (Potato soup with homemade smoked sausages) – there are also with vegetables and different types of meat, to suit everyone’s tastes. “Ciorba de burta” (Tripe soup). “Sarmale in foi de varza” (stuffed cabbage) or “sarmale in foi de vita” (stuffed vine leaves) – A better description might be: pickled cabbage leaves stuffed with a mix of minced meats, rice and some spices. They can be prepared in both ways (cabbage or vine leaves) though I like them equally. 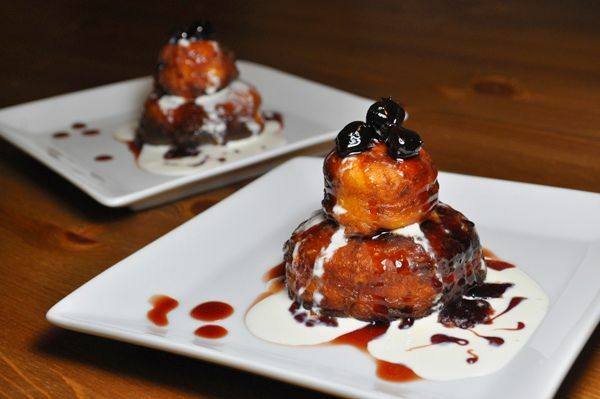 These dishes are mega tasty with “mamaliga” and cream. “Mititei” or like their popular name: “mici” – The “Wee Ones” – small skinless grilled sausages) are among favorites in the eyes of each Romanian. “Cozonac” or “Pandispan” – This is a traditional holiday sweet cocoa bread filled with walnuts, poppy seeds, cream cheese or chocolate. Transylvania is very safe with crime being almost unheard of. You should be fine if you take all of the normal safety precautions you would expect when visiting a foreign country. Be careful when wandering in the countryside – there are brown bears in the woods. They are very dangerous and should be avoided. Be sensible and stick to signposted walking routes and heed local warnings. hi i loved reading your website. my husband is romanain. I am British. I have been visiting Romania for 7 yrs and I love it!!!! The food, the people, the traditions, everything!!!! 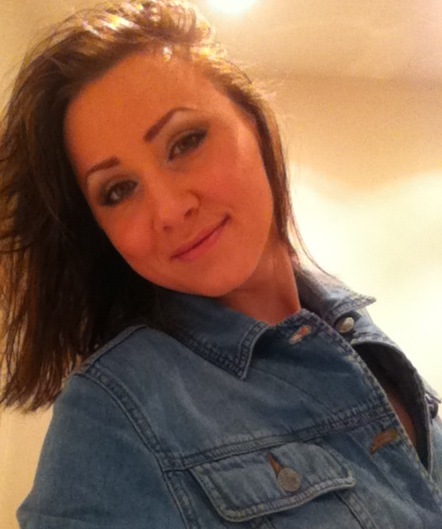 I only wish people here in the UK were not so judgemental…..Romania is Beautiful…. Everything starts from the book. I read book about history of Romania some years ago and was fascinated about Roman – Dacian heritage of it . I decided Romania for my family every summer trip on AD 2017. As coming from East Europa – Latvia, I think that we have many common things with Romania. …an I find for me that I want to spend my money better in humble and beautiful Romania than in proud and rich West.